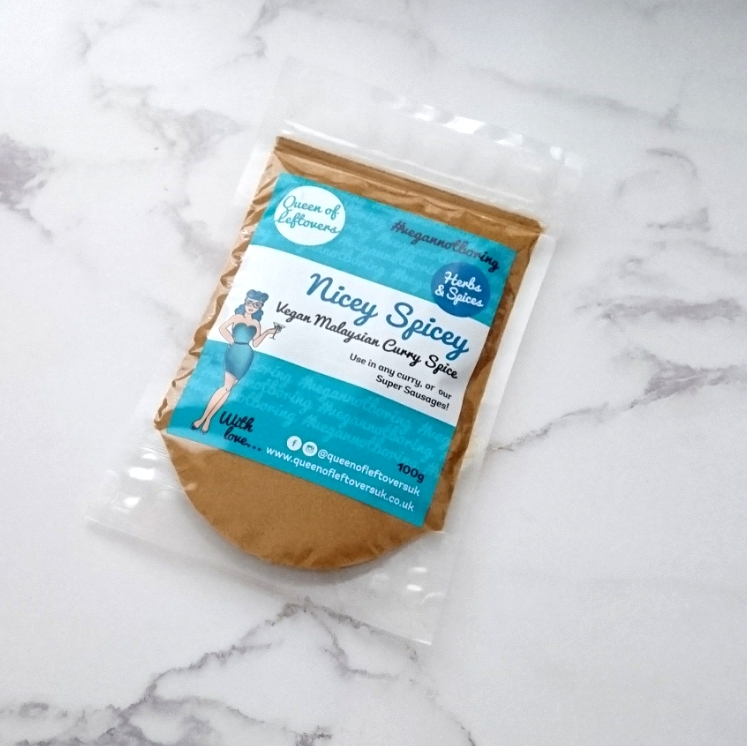 This curry spice is the bomb. If you prefer your curries fragrant and flavoursome over a hit of spice, then this is the one for you. 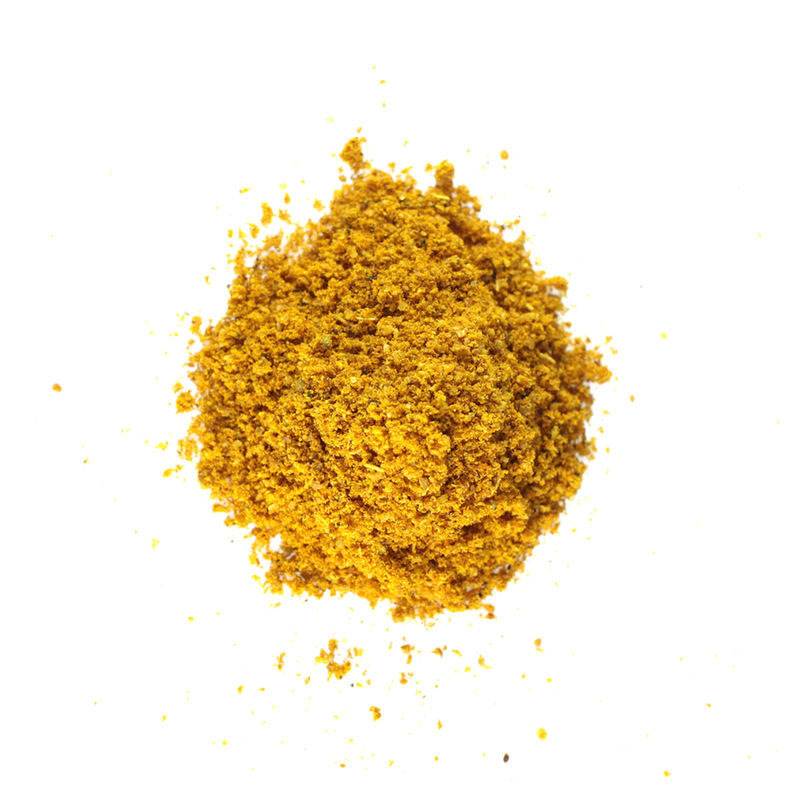 Cook some veggies, then stir a couple of teaspoons of this into a can of coconut milk, and simmer. Alternatively, use in one of our Sausage recipes – and never look back! Here at Queen of Leftovers, we want to help you to spend less time in the kitchen, and more time enjoying yourself. Life is hard – juggling work, social lives and trying to eat properly is HARD! How are you supposed to work full time, go to the gym, see friends and get your 5-a-day?! We think we’ve mastered it – sort of. Our ethos is all about batch cooking, reducing food waste – and freezing absolutely everything. If you can spend an afternoon making large batches of food once a fortnight, you’ll make such a difference to your life – freeing up valuable time to see friends, go shopping, or slump on the sofa in your pjs. We don’t judge. As long as you have access to a freezer, some plastic tubs and a marker pen, you’re good to go. You also need to spend some time planning your menu and your shopping list, but we’ll come to that later. For now – breathe a sigh of relief, busy person – we’ve got you. 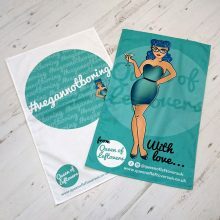 Two amazing tea towels made from 100% cotton and designed, printed and stitched in the UK exclusively for us! Wrapped up and ready to give as a gift, or tear them open and get mucky. 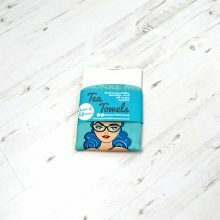 These tea towels are fantastic quality, and a lovely large size, perfect for mopping up after yourself and keeping up the illusion of a squeaky clean kitchen even in the midst of a day of batch cooking. Full washing instructions are included stitched into each towel, but if you use them a lot, we recommend washing every few days to avoid any bacteria build up. You can of course simply frame them and hang them up – they’re that pretty. 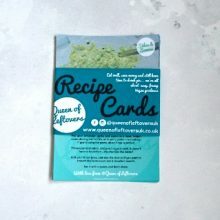 Comprises 5 high quality double sided recipe cards printed on a nice, 350gsm card. Hand tied with twine, they make the perfect small gift for that vegan foodie in your life! Use this on everything. Seriously. If a recipe ever calls for ‘seasoning’ or just salt, substitute this in. 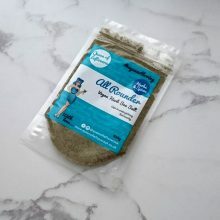 The granules of sea salt just taste SO much better than regular table salt, and the mixed herbs will add a real depth to any savoury dish. This will become your new cupboard staple, and you’ll wonder how you ever lived without it. 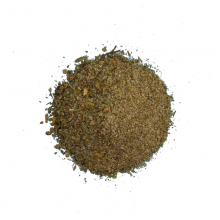 Sprinkle some over Abra Kebabra, or towards the end of Make a Hash of it. Ingredients -a blend of fine sea salt, parsley, onions, lovage, aniseed, basil, rosemary and celery. Store sealed, out of direct sunlight – use within two years. 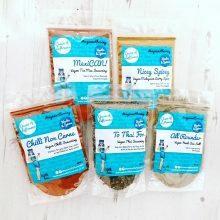 The full set of our Vegan Seasoning Mixes – brand new for 2018. Stock up your spice rack, and let the flavours blow you mind! 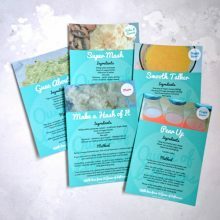 Each mix contains a recipe idea on the front, and you can look through our recipes shared online for more inspiration. We’d love to see your creations too, so be sure to tag us on Facebook and Instagram @queenofleftoversuk! For full ingredients and allergens please see each individual listing.